From the pioneer of horror fiction, this tale of a clergyman tormented by a demonic creature is one of the greatest Victorian ghost stories. Green Tea is, admittedly, a very odd name for a Victorian horror novel. Green tea is not something which sparks fear in the hearts of men, nor does it lend any implications of the supernatural. 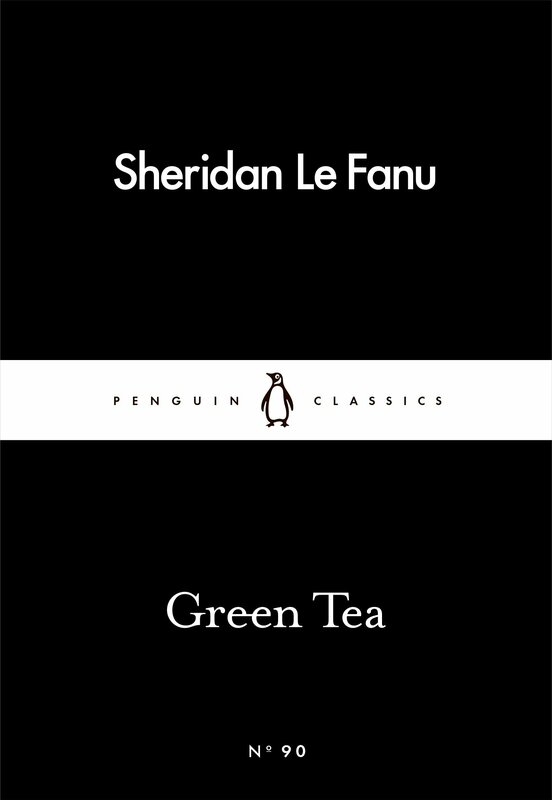 Le Fanu presents a macabre and unsettling tale, the events of which transpire solely due to the drinking of green tea. Using a balance of the inexplicable and the scientific, Le Fanu tells the tale of a clergyman who is experiencing a constant demonic presence by his side. Although this premise, and the form the apparition takes, seem unlikely, we’re given various scientific explanations from our learned protagonist to support and analyse the poor religious man’s affliction. The writing is typically Victorian, and you do need your wits about you in places, but it’s steady. The story is laid out in the form of letters from our protagonist to a fellow doctor. He explains the clergyman’s symptoms, and the story he has been given. I liked that we were never allowed to witness the supernatural happenings first-hand; they were spoken of to our protagonist, and then committed to letter, allowing Le Fanu to weave feelings of uncertainty and evoking considerations. Although terribly short, I loved this little gothic exploration of green tea and demons. Le Fanu leaves the finale entirely open to interpretation, further supporting the Chinese whispers style of storytelling, and creating a final sense of uneasiness as you close the book. I’d definitely recommend this one for fans of Victorian horror.